This article walks you through using Knack to create an Orders app. 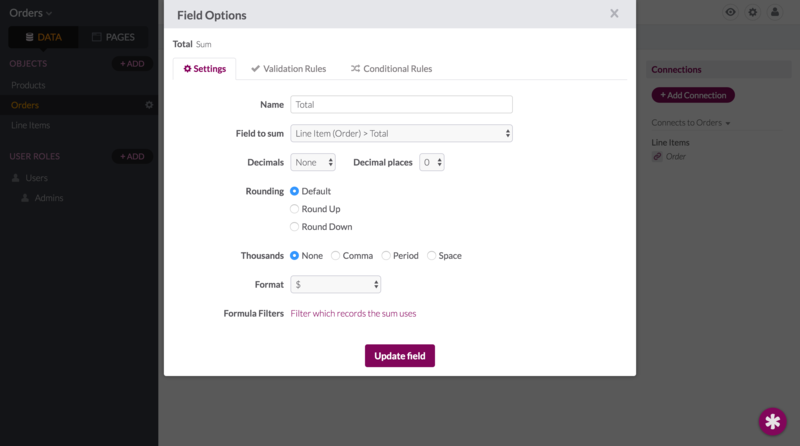 The main feature is using a form's Record Rules to copy pricing information from products into order line-items. Equations and Formulas are used to track quantities and totals. Note: This is an advanced app so we'll be skipping some basics to focus on the advanced features. Review our help desk for more information on designing the database and building pages. 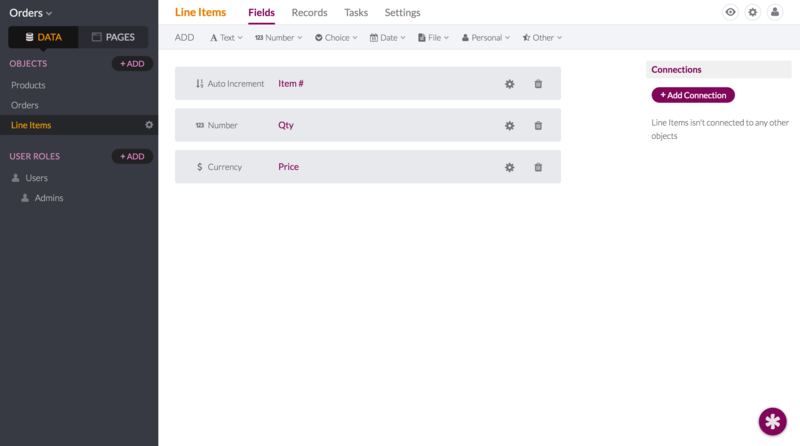 Add fields to track the total cost of each line item and add those up for each order. 3. Edit the Add Line Item form on the Order Details page. Delete the Price and Total inputs, and add a record rule to set the value of the Price to the connected product's price. 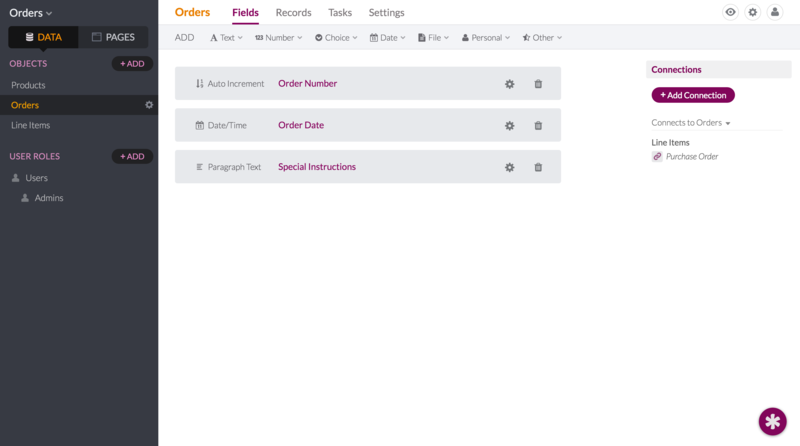 This is the core functionality needed for a basic order app: adding Products to an Order through a Line Item record that connects to both. Add pages to the live app to manage the products. Add user logins and track which user added the order. Connect each product to a vendor object. 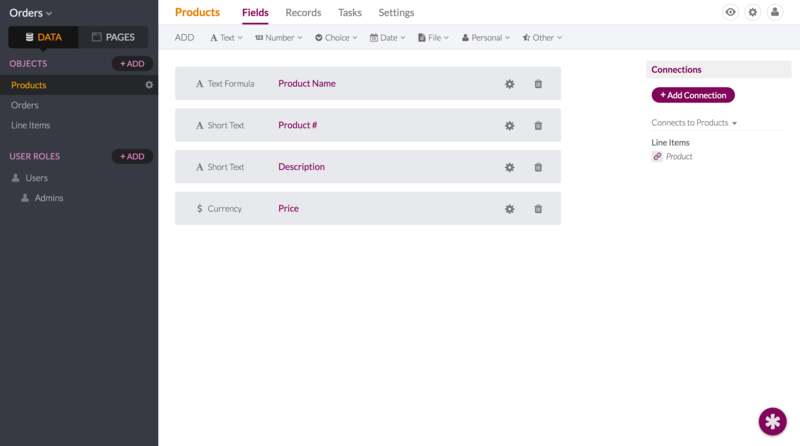 Add reports to view order totals by product, vendor, or user. 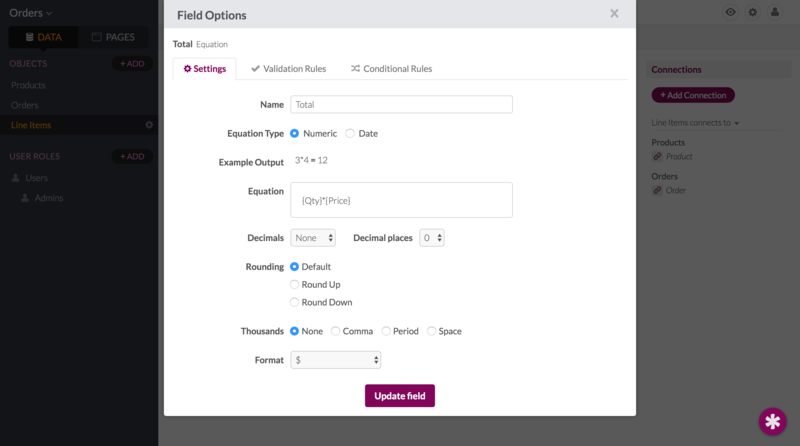 Add a status field to orders and include workflow to track shipping and fulfillment.